The German Langue used to occupy the post of Grand Bailiff within the Order. The building is located in the central part of the city and just within the boundary of the collacchio. Although these are situated on different streets, the Auberge d’Allemagne and d’Angleterre were connected since the back part of the buildings was linked. This building was badly damaged during World War II by enemy action and only the inner rooms survived. It was then restored/rebuilt in 1961-1963. Originally, the building was a two-storey property illustrating significant traditional features. In fact, it had Melitan mouldings on the façade and a Maltese-style staircase. After the building was vacated by the Knights, it was taken over and used as a private residence and later on converted into a ‘casa bottega’ type residence. Since the German Auberge in Valletta was destroyed in order to build St Paul’s Anglican Cathedral, what remains of the Vittoriosa Auberge is the only remains of the German Langue in Malta. 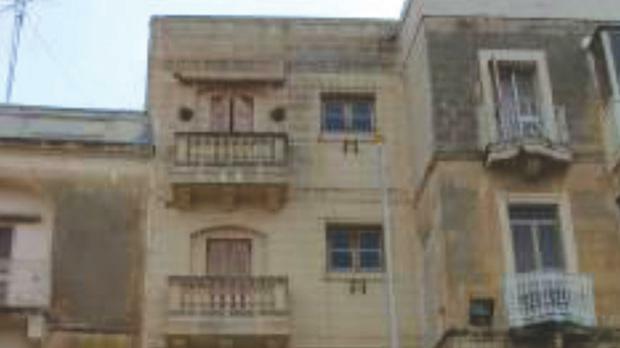 Auberge D’Allemagne, in Misraħ ir-Rebħa, Vittoriosa was scheduled by Mepa as a Grade 1 national monument as per Government Notice number 1082/09 in the Government Gazette dated December 22, 2009.